Walter. P. Chrysler (1875 - 1940) founded the country's second largest automobile manufacturing company the US automotive which incorporated as the Chrysler Corp in 1925. The notable brands of Chrysler include Dodge, Chrysler, Jeep and Plymouth vehicles. The Corp nearly reached the verge of bankruptcy in 1980 which was however saved by the Lee Iacocca organized government bailout. 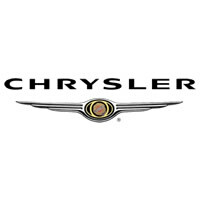 1998 further witnessed Chrysler's merger with Daimler-Benz, a German automaker resulting in becoming DaimlerChrysler AG, however the companies separated again in 2007. 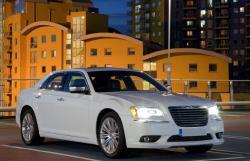 The Chrysler LLC reorganization retained all previous brands except for Plymouth, which faced retirement in 2001. Due to subprime mortgage crisis another government loan saved the company from a possible bankruptcy in 2008 but the refusal of creditors to restructure the debt of the automaker forced Chrysler to file bankruptcy protection under Chapter 11 in 2009. As a result of the new organizational deal, Chrysler Group LLC came into formation and among the ownership interested companies was Fiat, the Government of Canada and America and the United Automobile workers union. 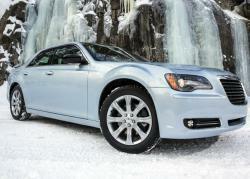 Fiat succeeded as being the major shareholder of Chrysler LLc after acquiring the shares held by the two governments. The main interest in Chrysler was its premium luxury competing position with Lincoln and Cadillac which was owned by Chrysler Group's rivals in Detroit Ford Motors Company and General Motors Company respectively. At that time Chrysler was at the top of all portfolio brands in the Chrysler corporation led by the Imperial which was also a top model, however after the corporation's decision of spinning the Imperial as a separate brand in the year 1955 which will enable it to better compete with rivals Lincoln and Cadillac, Chrysler came to be the corporation's second best brand while still providing the same quality luxury and near luxury vehicles. In wake of bringing Chrysler towards a mid price vehicle brand, the corporation killed DeSoto and merged the vehicle's models into new Chrysler Newport. Imperial brand of vehicles was dropped by the corporation in 1975 leaving Chrysler to be the top brand of the corporation once again. At that tie Chrysler was offering a wide range of vehicles including both luxury vehicles like Lexus and near luxury vehicles such as the Buick. The Chrysler division expanded its target markets and its product line through marketing the Chrysler K upscale versions platform. Chrysler following the role of Buick, Mercury or Oldsmobile offered entry level luxury cars of different sizes and types. After discontinuation of Plymouth vehicle line, Chrysler division marketed all types of cars including economy vehicles such as PT Cruiser to Prowler Sports car to traditional upscale vehicles of LHS and the 300C. After Fiat's acquisition of Chrysler LLC 20% shares Fiat expressed its goals of remaking Chrysler into an entire luxury brand competing with other luxury brands including Cadillac. Fiat also announced in October, 2009 of its plans of close cooperation between Chrysler and Lancia, an Italian upscale automaker which was also a part of Fiat. The step was taken to facilitate the shared development between the two brands. Chrysler in April, 2011 announced that the LanciaYpsilon will not be launched in US due to launch of a similar brand Fiat 500 and also plans of selling the Chrysler branded vehicle Lancia Delta in US is under review. 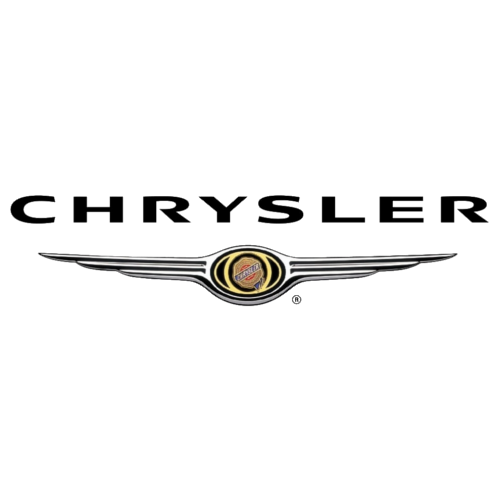 The winged emblem of the brand was also modified and a blue backed nameplate of "Chrysler" was placed removing the blue ribbon center in the emblem which dated back to 1930.